What? What’s this? Another post about cinematic universes and the phenomenon of MCU Copycatting? But it hasn’t been that long, not much as happened! Shouldn’t this come out, like, another eight months from now or something? Well, I recently celebrated my hundredth official follower – thank you, everyone – and, as part of that, I promised to talk about a cinematic universe that I haven’t before. Technically, I have mentioned this particular cinematic universe before. In fact, I have mentioned it many times, and waxed eloquent about it, especially in my criticisms. But, it occurred to me, suddenly, I’ve never taken the time to measure it on its own, as a cineverse, and put all my thoughts about it into one coherent post. So, without further ado, I present: the Arrowverse! When Marvel Studios released Avengers in theaters, and the mad race began to try and do the same thing somehow, the DC-Warner partnership, it seemed, was firmly in last place, for a good long while. They’ve since surged forward again, with the release of Suicide Squad and, especially, Wonder Woman, but they’re still badly behind and the momentum they’ve gained is anything but certain. I imagine the reception of the upcoming Justice League movie will prove rather pivotal to the future of the DCEU as a whole. But I’m getting side-tracked already: what I mean to say is… they may have actually been further ahead of everyone else than we realized. When I commented about how the race itself was evolving, I mentioned the Arrowverse as proof. This is a cinematic universe on the small screen, and not only did it begin before the DCEU began with Man of Steel in 2013, and long before it was properly kicked off with Batman v Superman in 2016, but it began within spitting distance of Avengers. Arrow premiered on the CW Network in October of 2012, a scant five months after Avengers. Within a year, they were planning and moving forward with the first spin-off, The Flash, which premiered in 2014. They wasted no time with further installments, including the animated web series Vixen in 2015, the third live-action show, Legends of Tomorrow, in early 2016, and another upcoming web series, Freedom Fighters: The Ray. They tied Constantine, which aired for only one season from 2013 – 2014, to Arrow with a crossover episode in 2015. 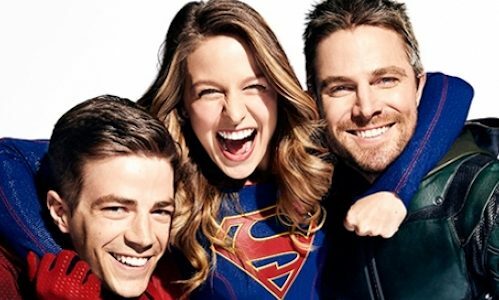 Finally, while Supergirl began on a different network and was set in a different universe, it quickly became tied to The Flash with a crossover episode in 2016, within its first season, and then moved to the CW network as an official member of the Arrowverse. So, yes, this is definitely a cineverse in its own right, with several properties that are strongly and intricately connected with one another. Not only do the CW shows have an annual crossover event, but they regularly influence and mention each other on a more everyday basis. 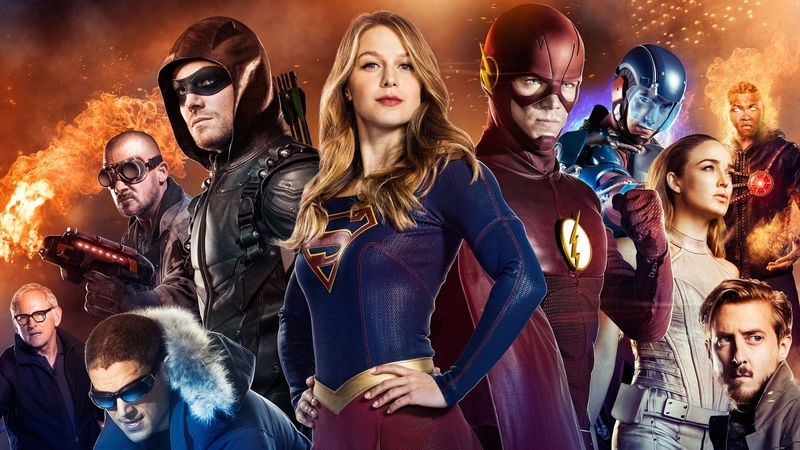 Interestingly, we have another superhero show coming to the CW, not only airing on the same network, but created by the same people. They’re saying Black Lightning won’t be connected to the Arrowverse, at least not initially, but they said much the same regarding Supergirl, and we saw how long that lasted. I doubt I’m alone in saying, “Uh-huh, yeah, riiiiight.” If they don’t include Black Lightning in the Arrowverse at some point, I will be very surprised. On that note, we have what may be the Arrowverse’s greatest strength and weakness: every show currently lies in the same hands. Over at Marvel Studios, the MCU is like a fleet of ships. Kevin Feige directs their overall course, but each ship has its own captain and crew. Thus, the fleet grows and becomes more diverse with each new addition. By contrast, the Arrowverse is a bundle of ships all locked together, one captain commanding all of them, and so the diversity has actually decreased with each addition. 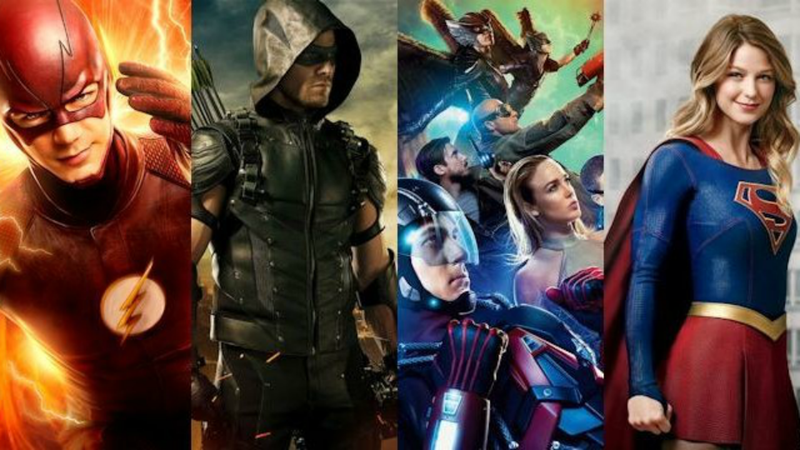 Arrow and The Flash were originally quite different from each other, but the more things have progressed, the more similar all the ongoing shows have become until they’ve basically just become clones of each other. As such, what’s good or bad about one show tends to be what’s good or bad about all of them. There are exceptions to this, but, by and large, most the couplings in Arrow, The Flash, Legends of Tomorrow, and Supergirl happen very quickly and/or happen “just because.” Oliver and Laurel, Oliver and Felicity, Oliver and Susan, Felicity and Billy Malone, Barry and Linda Park, Barry and Iris, Cisco and Lisa, Cisco and Kendra, Cisco and Gypsy, Cait and Ronnie, Cait and “Jay,” Cait and Julian, Ray and Kendra, Carter and Kendra, Nate and Amaya, Kara and Jimmy, Alex and Maggie, and still more. Some of them, we might like anyway, but far too many don’t really make any sense. When they introduced Linda, for instance, they did far less to establish her character than they did to establish her in a pairing with Barry. And then there’s when Amaya suddenly slept with Nate out of the blue, and this after the obvious chemistry she’d had with Mick. While they rather forcefully made it known from the start that Barry and Iris would be together, I loved his pairing with Patty Spivot much more, it just felt more natural and organic. Again, there’s some variance, but the casts are pretty much copies of each other as well. Main hero who takes all the responsibility for everything on their shoulders: Ollie, Barry, Kara, and Rip/Sara. Oh, and Constantine. Comedic science/tech support character: Felicity, Cisco & Cait, Jackson & Stein, and Winn. Strong semi-mentor (black) support character dealing with what they’ve lost and moving forward with a new family: John Diggle, Joe West, and J’onn Jones. Morally supportive family character: Thea, Iris, and Alex. One can easily make an argument that these roles exist as archetypes across a number of stories, but it doesn’t usually feel quite so copied-and-pasted, ya know? Again, let me rush to add, I enjoy the characters anyway, immensely so. If I didn’t, I wouldn’t have been able to watch the entire Arrowverse as I have. Cloned or not, there’s just something endearing about them. Yeah, nothing adorable about this lot at all! Example number three: repetition of plots. Say what you will about Marvel, and other studios, and stories in general: yes, it’s true, we tell the same stories over and over again. However, they’re not usually recycled quite so obviously. The Flash: three seasons done, all three revolving around a speed-based villain and Barry needs to get faster to defeat them and save everyone. Legends of Tomorrow: the Legends travel time and space to combat dangerous enemies who mess with history, and mess things up more than a little themselves. Supergirl: two seasons in a row of creeping forces of alien armies and human anti-alien conspiracies, the latter of which the heroes need to work with in order to stop the alien invasion. Crossover episodes: always having the Flash swoop in to save the Arrow. In fairness, Arrow does have Ollie trying new things in most seasons, The Flash is supposedly shifting towards a more intelligent villain this season, Supergirl has only two seasons, interrupted by a change in networks, to work with, and Legends of Tomorrow is at least changing the nature of what they’re facing and fixing with each season. There’s some substantial creativity within the seasons themselves, but they certainly get repetitive when lined up next to each other. Next complaint: the camp factor. In their defense, the quality of all four live-action shows has been greatly increasing recently, especially last season. I originally dropped them all from my lineup out of frustration for all these flaws, but that above all. I am now strongly considering adding them back in, but we’re going to wait and see. Finally, there is what I consider to be the single greatest weakness of the Arrowverse as a whole: all of their shows are over-reliant on the other shows. 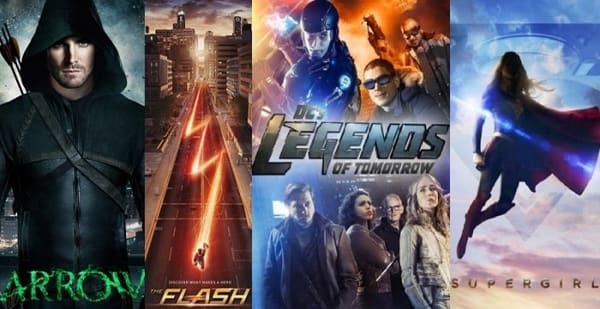 If you do not watch them all in exact synchronicity, in the order that the episodes are broadcast, then you will miss crucial things, especially when it comes to the crossovers. So, how does that translate to watching one of them at a time? Or when someone is trying one of these shows for the first time, and it turns into a complex mess, referring to things on the other shows that you haven’t seen? I mean, it’s not a bad thing when shows can stand on their own two feet, and you can just watch them straight through, one at a time. One can take this too far the other direction, of course, as in the case of Fox’s X-Men universe, where they may say that the movies and the TV shows are all connected to each other, but they don’t remotely feel that way. Most of them might as well be set in their own universe and left alone. Marvel, I think, has actually struck a pretty decent balance between extremes thus far. Everything is clearly connected, and what happens on the grander stage of the movies clearly affects what is happening on the smaller stages of the various televisions shows. They also allude to some subtle ways that events on the shows might be affecting the movies, such as how the Avengers found Loki’s scepter in Age of Ultron, or the current events that add to the public demand for measures such as the Sokovia Accords. In the end, one can enjoy every corner of the MCU both independently or alongside the rest, with exception to the fall of SHIELD in Winter Soldier heavily influencing the rest of Agents of Shields from that moment on. In summary: the Arrowverse is rife with flaws we can complain about, but it has still managed to be generally enjoyable, and it’s on a streak of improving itself. As a cineverse, it’s been a little clumsy in its haste to grow, but it’s impressive to think that it began so soon after the race began, and how it has expanded. I wonder how long it can endure and how much more it could possibly expand in such a cramped corner, but I have some hope for it. 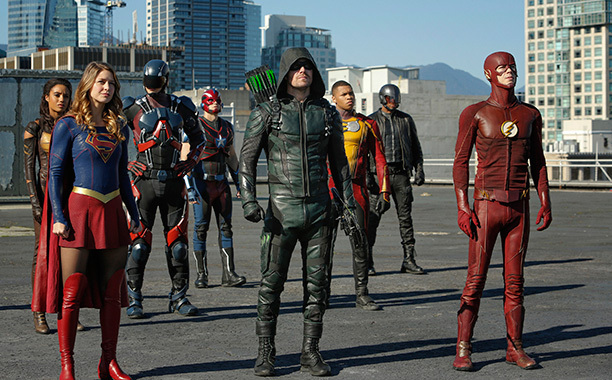 If we were to put all of the cineverses together in one race, the Arrowverse would probably be in the middle of the pack. Compared only with other television shows, however, it would be competing with Marvel, and it would be debatable who was in the lead, and by what criteria, at any given moment. So, in spite of all the flaws, it seems DC has had a horse in the race for awhile now, and it could actually give Marvel’s TV shows a run for their money. Not a bad thing, that! This entry was posted in Cineversity, Discussion and tagged Arrow, Arrowverse, Constantine, Legends of Tomorrow, Supergirl, The Flash. Bookmark the permalink. I dropped the CW shows pretty early (I managed two seasons of Arrow and the first episode of season three, one season of The Flash and the pilot of Supergirl) because I couldn’t stand the love triangles, the melodrama, the unearned twists and the run of the mill plots. The thing is that I really enjoyed Arrow in the beginning, but the show lost its shine pretty fast. With Marvel, it was kind of the other way around. I mean, I adored Agent Carter from the get go, but I frankly admit that the only reason I made it through the first season of Agents of Shield eventually was because I wanted to see the fall-out form the Winter Soldier…and boy did that one pay off! The show took off running and never stopped. It is the only show out there which regularly manages to surprise me. And Fitzsimmons are my favourite couple ever!!!! They even managed to do a love-triangle in a non-annoying way. And their characters actually talk to each other instead of keeping secrets just because! And then there are the Netflix shows…I actually wasn’t that much of a fan of Daredevil. It was good, but I wasn’t all over the thing like so many other were. Jessica Jones on the other hand…chilling. A hard watch, but really good TV. Those shows are not perfect, but they offer variation (unlike the CW shows), so there is something there for everyone (Danny Rand is actually my second favourite Defender after Jessica, and yes, I know that most people would disagree with me). Inhumans has been sh… so far, though. Still, at the end of the day, I give Marvel TV the edge, simply because the CW verse (and Gotham) is created for a specific group of watchers, the ones who enjoy melodrama and corniness. But if that isn’t really your thing, there is nothing really there for you. With Marvel you get the variation. And in terms of overreaching universes…mmm…let’s see….the MCU is naturally the best, but if you include TV universes, I guess the Start Trek universe is on place two, followed by the Harry Potter universe (since it now has a prequel with different characters, I guess it qualifies as “universe). Then there is Star Wars, the CW verse and the Babylon 5 verse……and a bunch of failed universes. I guess if you add animated universes, there is also the DC animated universe, which I think is better than what they did on live action TV overall (it is also the area in which DC does way better than Marvel, which kiddifies its animation too much). AND I agree with pretty much everything you said, though the first season of Daredevil is my personal favorite among the Defenders, and I loved Agents of Shield from the get-go. 🙂 Inhumans thus far feels like a complete misstep for Marvel, not at all up to their usual standards, and I can’t help but wonder if they simply painted themselves into a corner somehow, like there’s something in the show that’s important to their plans, and they just couldn’t figure out a better way to deliver it. Nah, I think it is the opposite…it’s something Feige didn’t want, but Perlmutter did, so he pushed it through while penny pinching at every turn. And it shows. But I don’t think that it is much of a problem in the long run. The show will be cancelled, the MCU will continued and somewhere down the line their will be a soft or an actual reboot of the Inhumans. The fans certainly won’t mind. There are actually more “Universes” out there as one would think, even if you exclude franchises which are simply a bunch of sequels and vs. Crossovers. But the MCU is the only one which started in cinema and is more like a TV show for the big screen. As such it is still a unique project. I think there’s a distinction between the usual “universe” and a “cineverse.” You mentioned Star Trek, and that’s a universe, or an ongoing franchise that they keeping adding new properties to. A cineverse is a universe, but one consisting of several distinct properties which are released alongside each other and deliberately crafted to sometimes intersect and otherwise influence each other in ways the usual crossover, sequel, or spin-off does not accomplish. Yeah, I am still working on that distinction, too. So we have for one an ongoing story with sequels, prequels and the occasional spin-off….most franchises fall under this, though I guess it is possible to take the Harry Potter franchise out of it, because Fantastic Beast isn’t really a Prequel in the common sense. Then there are crossovers. That is when properties are just thrown together once a while because it is cool, without a true sense of continuity. All those vs. movies and the Universal monster universe falls in this category. Then there are properties which are vaguely linked but don’t really influence each other, like the whole CSI shows, and the JAG/NCIS verse. And finally there are proper universes which an actual continuity where you can just plug stories and characters somewhere in the timeline whenever you want. Those take a lot of work and time, so there aren’t that many of them. There is the MCU, the Star Trek verse, the Alliance/Union verse (it’s a series of books by CJ Cherry), the Tortall verse (another book series)….somehow those are easier to do in writing than on the big screen. Oh, I loved reading the Tortall books back in junior high and high school. It’s been awhile, but still, love ’em! 🙂 Never heard of CJ Cherry, though, I’ll have to look that one up! Heh, I think it might be easier in written format because the author can do whatever they like, however they like, without needing millions of dollars to construct it. And without worrying if the actors are available. CJ Cherryh writes mostly hard science fiction. Her thing is a mixture of psychological and anthropological stories….often there is someone who encounters another culture, sometimes alien, sometimes humans who have adjusted to space one way or another, and then tries to understand and/or survive in it. The Advantage of the Alliance/Union universe is that you can pick up any book and you get a self contained story in which people and events from the other books are mentioned or might make an appearance, but you don’t really have to read any of them to understand the book at hand. But my favourite work of her are actually her foreigner books. Honestly, read them, they are amazing. They are not really set in the alliance/union universe (at least not official), but the technical details are very similar. It mostly follows the live of one character – a translator and ambassador – over years/decades of history and his struggle to prevent a war between humans and Atevi (the alien species in the book). If you read the Tortall books back in high school you might have missed out that the series at this point has five different series which all follow a different character. It’s 27 novels, but don’t be intimidated…I would start with the seven books about the Company wars, because that is the best way to get a general feel for the universe. Just pick one, it doesn’t really matter where to start, though the first one “Downbelow Station” won a Hugo award. I admit though that I like her two last ones, “Tripoint” and “Finity’s End” the best, perhaps because they deal with people dealing with life after the war. I still think that the Alana books were the best, though I haven’t read Provost’s Dog (or whatever it’s called) yet either. Second fav for me…I just think that Alana is a little bit more interesting than Dhana, if for no other reason than her being less blessed with special abilities.